My friends and I love celebrating Halloween, especially making our costumes. 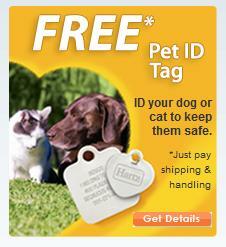 And we don't just go out and buy pre-made costumes - That wouldn't be any fun! We really enjoy thrift shopping, treasure hunting, and getting creative with our costumes. 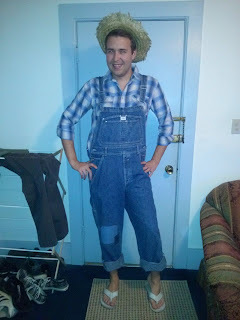 My friend Chris used an old pair of overalls and sewed patches onto the pockets for an "authentic" Huck Finn look. He paired that with a simple button down blue and white checkered shirt with the sleeves rolled up. But the really creative part of this costume was making the accessories. 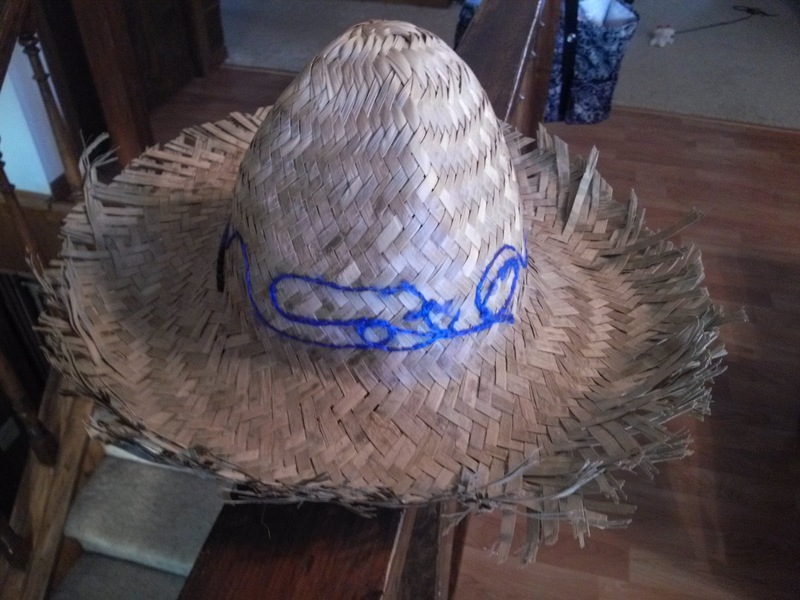 The straw hat was actually a child-size Mexican sombrero that I had (don't ask me why! ), so we cut off the rim edging and pulled it apart a bit for a straw hat look. Then we found an old tiki torch in my backyard so we ripped the torch part off and it made the perfect fishing pole after Chris tied a string and a bobber to the end. This was such a simple, yet awesome costume! 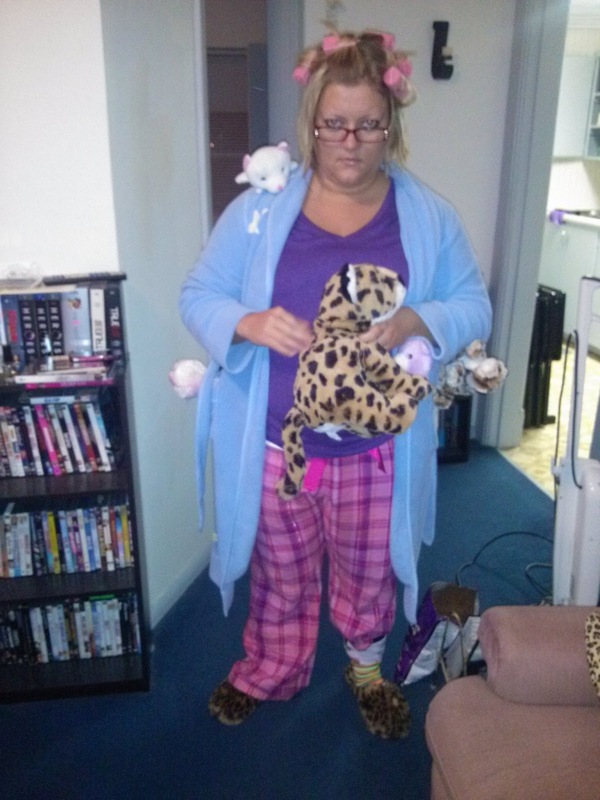 My friend Molly got so many compliments on her costume when we went out for Halloween - She dressed as the Crazy Cat Lady. She wore pajama pants and slippers, a robe pinned with various stuffed cats, "Grandma glasses", and curlers in her hair. Just for good measure, she tucked one pant leg into her sock to look extra crazy. She found most of her costume accessories at thrift stores. Not only was this costume relatively simple to put together, but it was really popular - and according to Molly, super comfortable too! 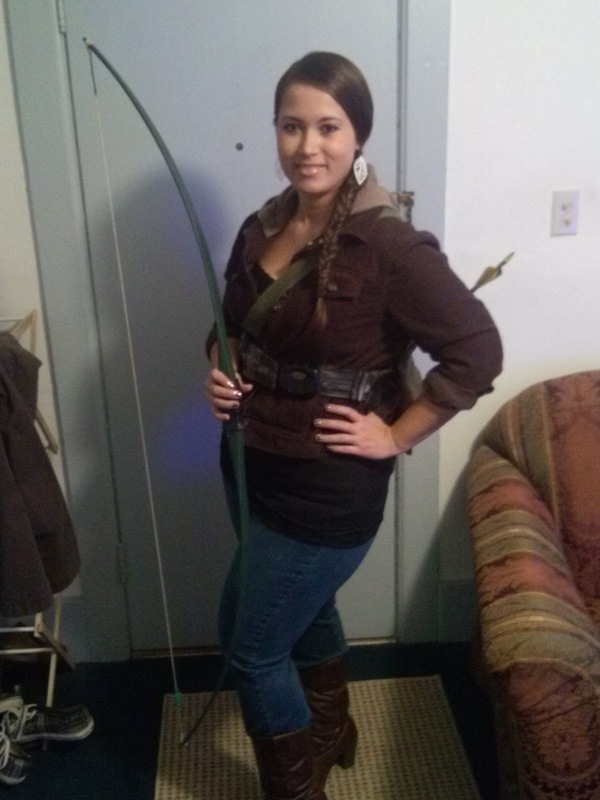 I dressed as Katniss Everdeen of The Hunger Games this Halloween. I wanted to do something on-trend and current this year, plus I have long brown hair so I was able to create the perfect side braid that Katniss is known for. I found a brown jacket and a kid's army costume belt at Goodwill. My friend borrowed me her brown boots. And my dad - who has EVERYTHING - gave me the bow and arrows, as well as an army green satchel with an animal fur hanging out of it to look like one of the animals Katniss hunted. My dad read The Hunger Games series, so he was totally into helping for the costume. The only downfall of this costume was that people who hadn't read the books or seen the movies had no idea who I was supposed to be. (Someone asked if I was Robin Hood.) 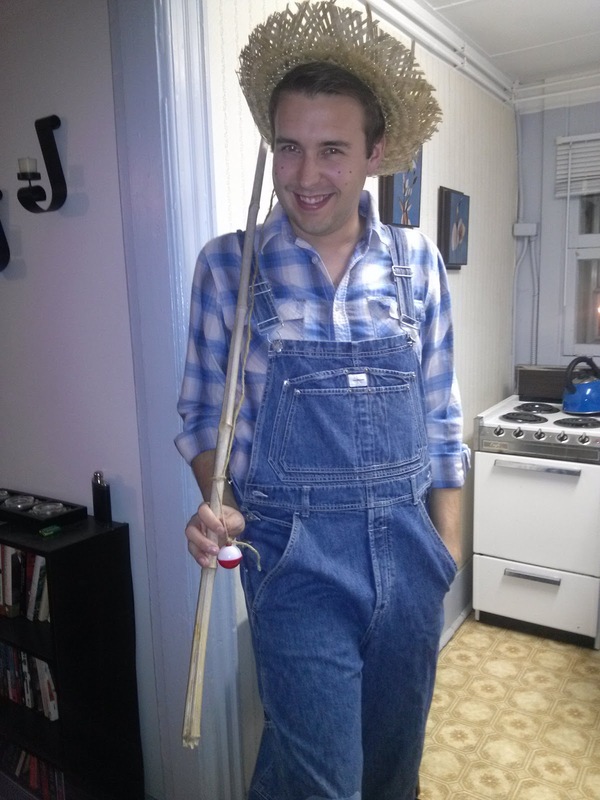 But, all in all, it was a fun costume to put together. We hope these ideas inspired you to create your own DIY costumes next Halloween!